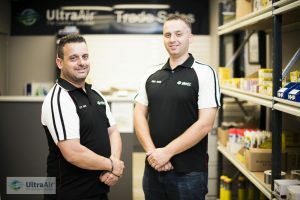 Ultra Trade are the NSW Distributors of Actron Air products providing our trade customers with professional advice and service at a very competitive price. reputable suppliers. Products include Electrical Cabling, Refrigerant Piping and accessories, fasteners, sheet metal products and a large range of Actron Air spare parts and components. We are the ‘One Stop Shop’ solution for our customers and take the hassle of sourcing necessary air conditioning components from several suppliers and we can offer assistance with design and correct product selection. We offer delivery within the Sydney Metropolitan area or you can simply pick up from our convenient location at 68 Peter Brock Drive Eastern Creek NSW. Click to download our trade pricing. Apply to access trade pricing.